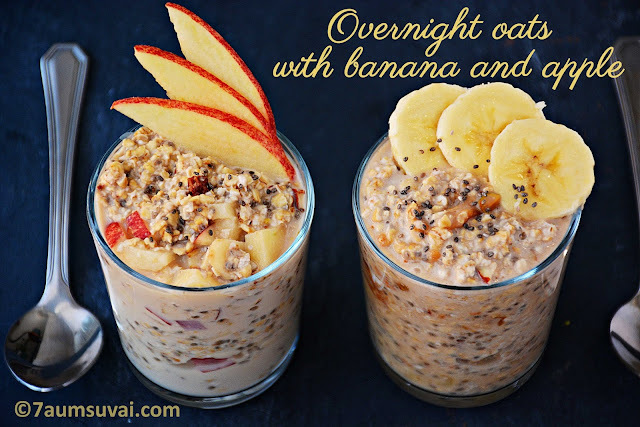 Overnight oats are a no-cook breakfast recipe with oats, milk, Chia seeds, fruits, and nuts. It is really helpful for the people who are working and do not have time to prepare healthy breakfast. 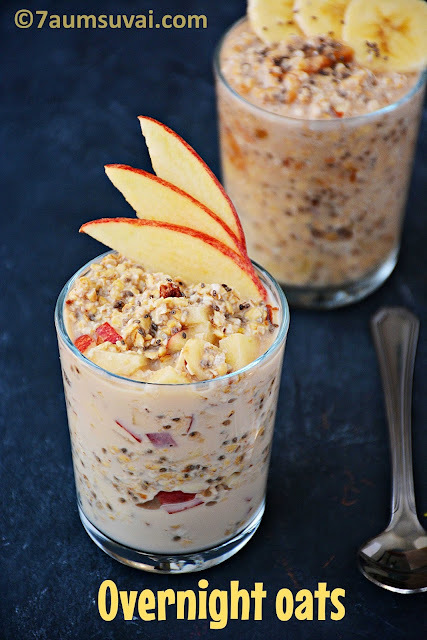 You may prepare these overnight oats for the whole week or the day before you want to have. You can do a lot of variations with the same recipe that are endless. Also, people who are trying to reduce their weight may try this recipe as it is healthy and filling. 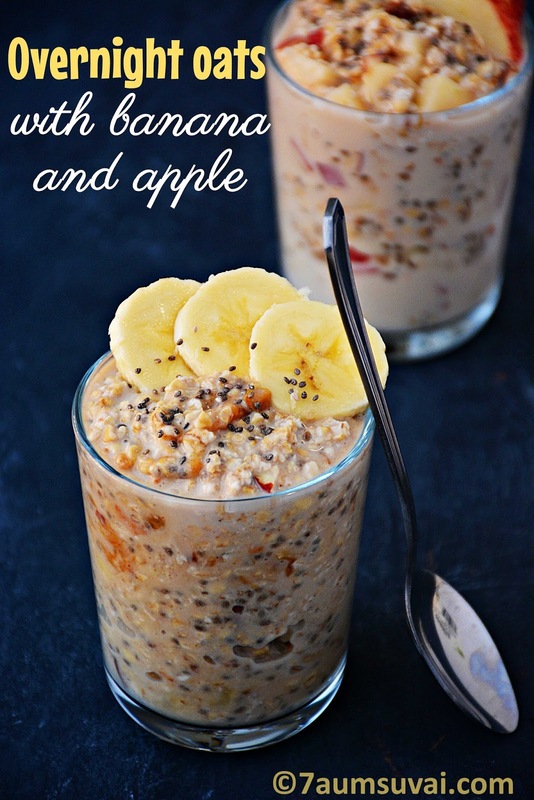 Take a mason jar, add oats, milk, chia seeds, vanilla essence, honey and give a quick mix. Followed by chopped apples and nuts mixture, mix well thoroughly. Cover with a lid and refrigerate it overnight. 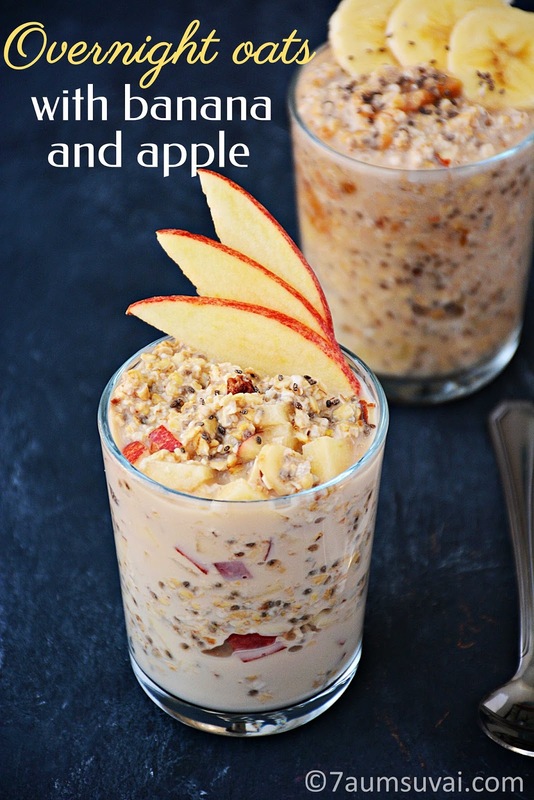 Overnight oats with apple is ready to serve. 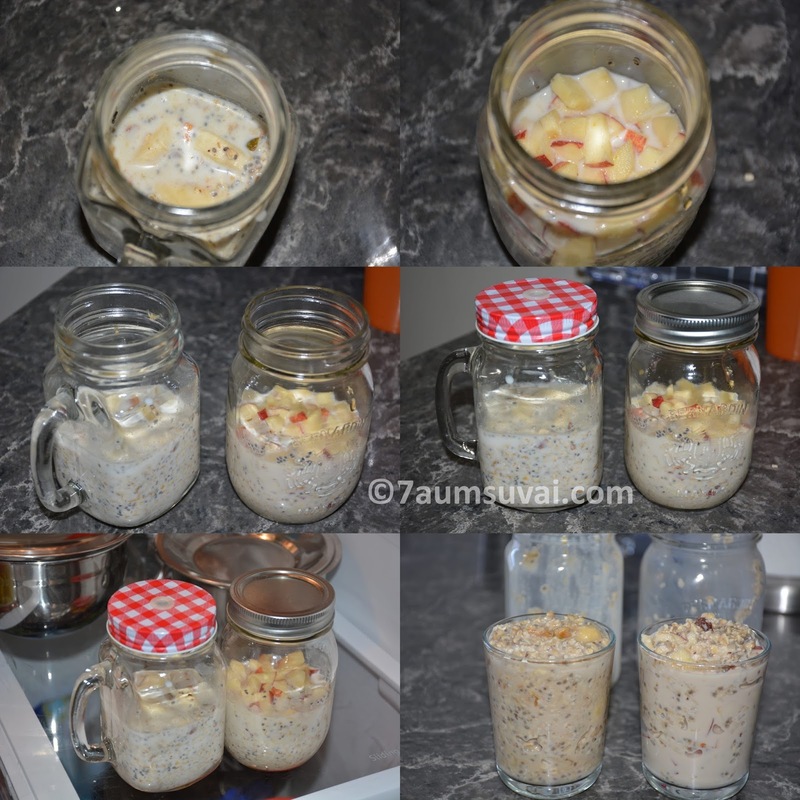 Take a mason jar, add oats, milk, chia seeds, peanut butter and give a quick mix. Followed by chopped banana and nuts mixture, mix well thoroughly. Cover with a lid and refrigerate it overnight. Overnight oats with banana is ready to serve. Nuts and dry fruits mix – almonds, pista, walnuts (chopped) and raisin. For banana – I did not add any sweeteners as the peanut butter and banana gives nice sweet taste to the oats. 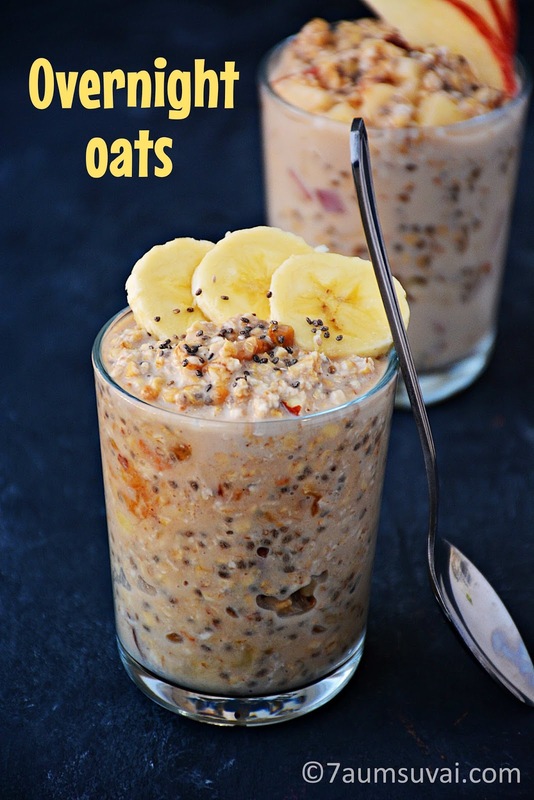 You may either use instant oats/ 1 minutes which are easy to cook or rolled oats for the same recipe. You may use our regular milk or replace it with coconut milk or almond milk for healthy options. Original recipe calls for a tbsp of Greek yogurt, but I did not use it. Also you may replace honey with any sweeteners of your choice like maple syrup or our regular sugar.